Choose from a variety of shapes. 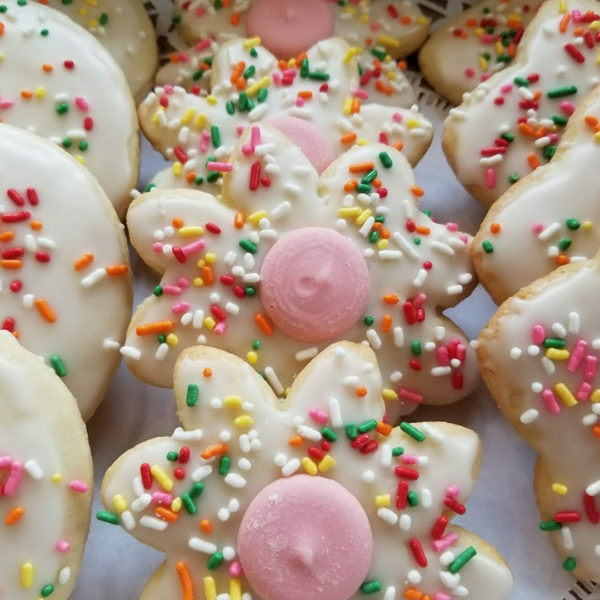 Our delicious cut out cookies are iced with a white confectionery sugar glaze and topped with rainbow sprinkles. Prices are per dozen in a bakery box. Add on extra to have arranged and wrapped on a tray.